16th January marks International Hot & Spicy Food Day! 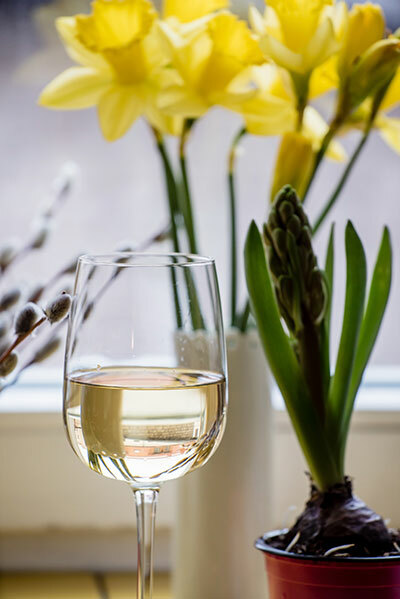 While it’s common to reach for a beer when you’re eating a curry, we encourage you to sip a glass of Fairbourne premium Sauvignon Blanc instead! Our easy drinking wine makes a perfect partner for fragrantly spiced cuisine, such as a mild Indian curry. If you’re reading this in the Southern Hemisphere you’re likely to have rolled out the barbecue, but summer doesn’t have to mean saying goodbye to your curry! How about some spiced Tandoori chicken? Mix the garlic, ginger and chilli in to a paste with the juice of your lemon and oil. Pour over the chicken. In a separate dish, mix the dry ingredients (salt, garam masala, ground cumin, chilli powder and fenugreek) with the yoghurt to create a paste. Add this yoghurt paste to the chicken and massage into the meat. Cover, refrigerate and leave to marinade for at least 30 minutes, but the longer the better. Grill your chicken until cooked through, it should be tender and a little charred. 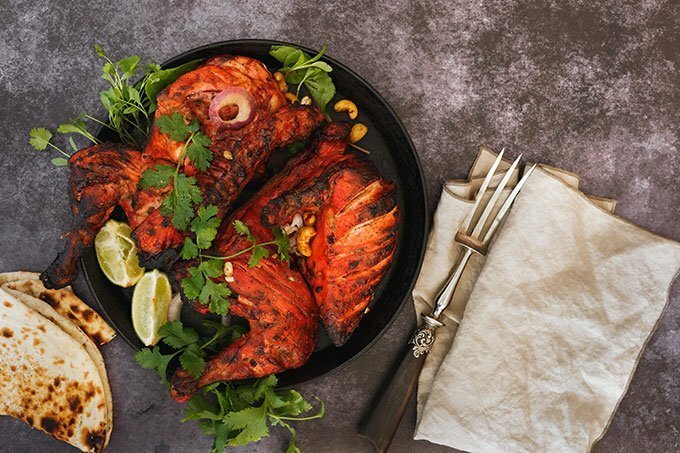 Serve your spiced tandoori chicken with a green salad, homemade raita (find a recipe here), naan bread and a glass of chilled Fairbourne Sauvignon Blanc. If you’re bedding in for winter, and can’t be tempted to venture out to the local takeaway, why not make your Friday night curry at home. 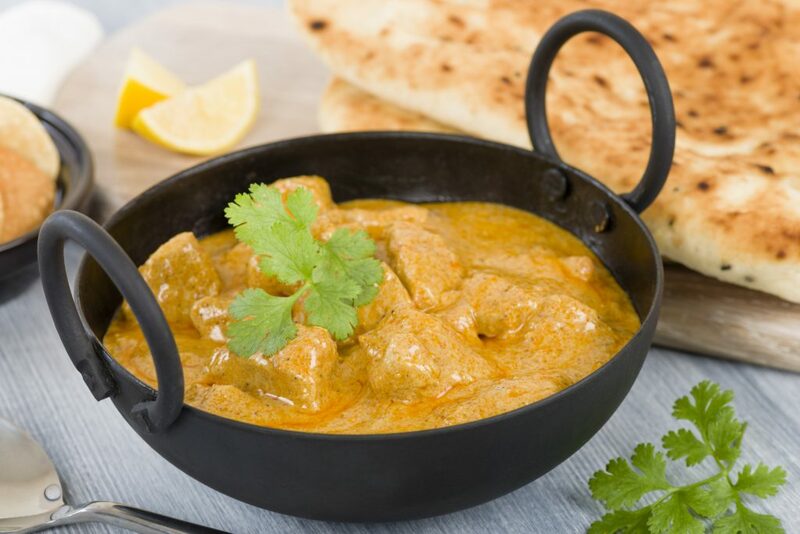 There’s a popular misconception that curries need a whole host of specialist ingredients, but as long as you buy good quality curry powder that’s not necessarily the case. We love this simple chicken curry recipe from BBC Food. Heat the oil in a large saucepan over a medium heat and cook the spring onions and garlic for a few minutes. Add the tomatoes, curry powder and ground ginger and cook for 3-4 minutes. If the pan gets dry add a splash of water and make sure the spices don’t burn. Add 250ml water and bring to the boil. Reduce to a medium to low heat and cook for 10-15 minutes, or until the chicken is cooked through with no sign of pink juices in the middle of the pieces. Take the curry off the heat, stir in the yoghurt then season with salt and pepper. Serve your chicken curry with boiled rice, mango chutney, naan bread and a glass of chilled Fairbourne Sauvignon Blanc. Despite the rise of the gluten-free diet, bread remains one of the most widely consumed foods in the world. It’s been part of our daily diet for thousands of years. So, it seems appropriate that bread should have its own day! Homemade bread day is celebrated on November 17th. And who can resist the smell and taste of freshly baked bread? There is a popular misconception that breadmaking is time consuming and an art that needs to be mastered. 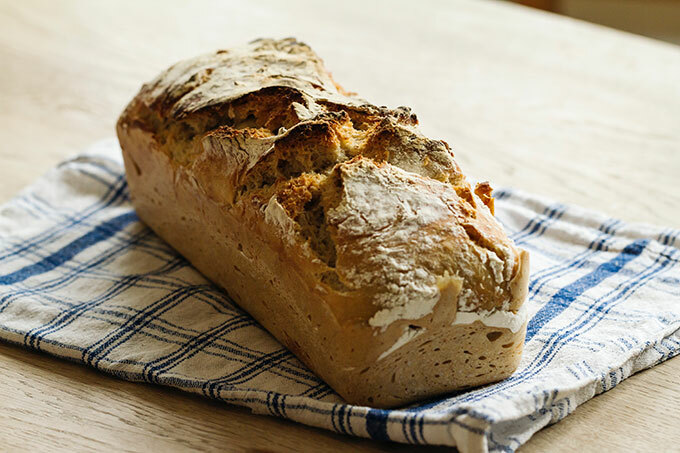 But baking bread doesn’t have to be a chore, we discovered this really simple recipe for homemade bread. It uses just five ingredients and takes just four simple steps to make. Tip the dry ingredients into a large bowl and mix together. Add the oil, honey and 300ml of hand-hot water and mix again to make a dough. Turn out the dough onto a floured surface and knead for five minutes. Place in an oiled loaf tin, cover with a plastic food bag or clean tea towel and leave in a warm spot to double in size. This usually takes an hour. Heat oven to 200C/fan 180C/gas 6. Bake for approximately 30-35 mins until the loaf is cooked. Cool on a wire rack. Once your loaf has cooled, here are our favourite ways to enjoy it. A party platter to enjoy with friends – Slice into thick wedges and serve as part of a cheese platter. Add a tangy goat’s cheese or a salty feta. Garnish with olives, sun-dried tomatoes and marinated artichokes. Don’t forget to open a bottle of Fairbourne Marlborough Sauvignon Blanc. A spring or summer lunch – Toast slices of bread and top with a smoked fish pate, serve with a side salad and a glass of Fairbourne Marlborough Sauvignon Blanc. A souper supper – Make a meal of your favourite soup by enjoying with thick slices of homemade bread. We love a Thai stye green pea soup. Find the recipe HERE. Enjoy with a chilled glass of Fairbourne Marlborough Sauvignon Blanc. 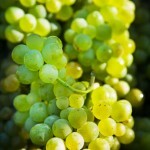 This post is for our U.K. based Fairbourne Sauvignon Blanc fans. We’ve been reliably informed that following a long hot summer, the first whiffs of autumn are in the air. Autumn is one of our favourite seasons, not least because of the wonderful harvest of vegetables that you can find in your garden, allotment or even at the farm shop and farmer’s markets. It’s the season for beetroot, broad beans and sweetcorn. If you have a glut of any of these favourite veggies here are three recipes that you can use to create a perfect weekend lunch or light supper. 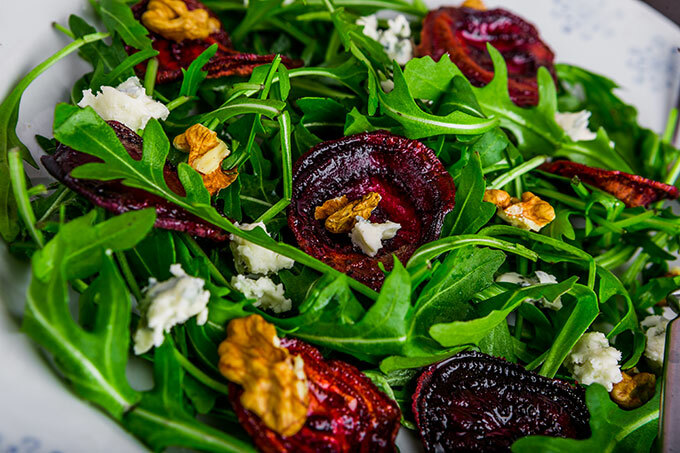 Lay the mixed leaves on your serving platter, top with the beetroot, goat’s cheese and walnuts, then drizzle with the dressing. Serve with a chilled glass of Fairbourne Marlborough Sauvignon Blanc. Cook the pasta according to the packet instructions, drain and reserve a little of the cooking liquid. 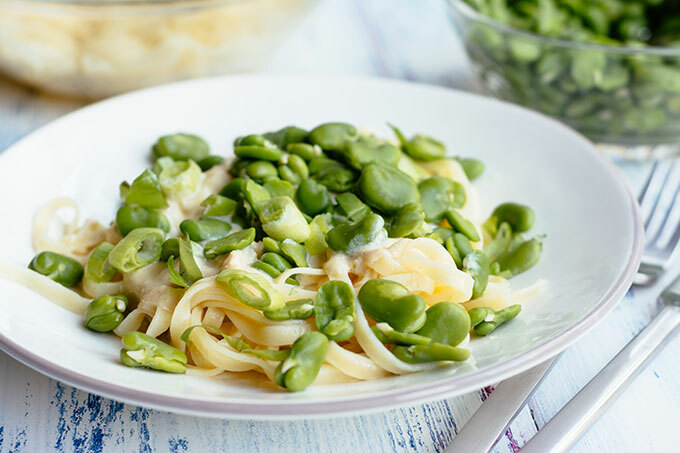 Toss in the broad beans, chopped mint, juice and zest of the lemon and some olive oil. Loosen with the reserved cooking liquid if necessary. Top with freshly grated Parmesan and black pepper. Serve with a chilled glass of Fairbourne Marlborough Sauvignon Blanc. Mix together the corn kernels, spring onions, egg yolks and bacon in a bowl. Whisk the egg whites, until stiff, and fold into the mixture. Fry spoonfuls of the fritter mixture in a blend of butter and oil. Serve with avocado, salsa and a chilled glass of Fairbourne Marlborough Sauvignon Blanc. Head to your local Majestic Wines store to buy your Fairbourne Marlborough Sauvignon Blanc. 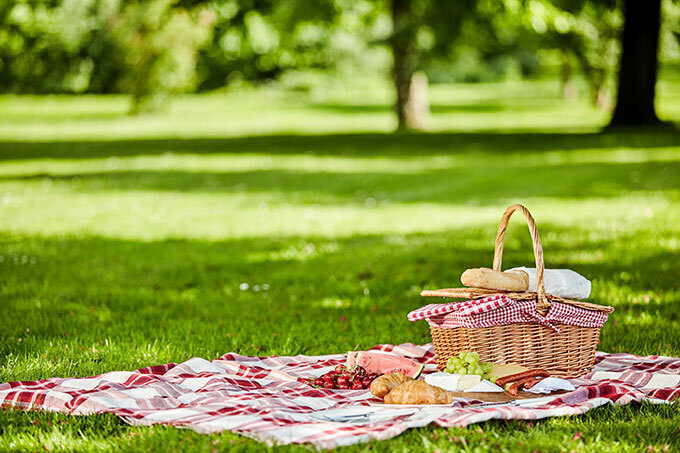 June 18th marks International Picnic Day! The word picnic comes from the French language, and it’s believed this type of informal outdoor meal became a popular pastime in France after the Revolution. Find out more HERE. While, some may consider an al fresco dining experience a summer occassion. At Fairbourne we believe, that much like our delicious Sauvignon Blanc wine, a hamper full of tasty treats is a joy that can transcend all seasons! So whether you are in the Northern or Southern hemisphere we have a few picnic ideas that will help you mark the occasion! A family feast full of fun and games, or a lunch for two in the beautiful English countryside. Who doesn’t love a summer picnic. Celebrate mid-winter with the family around a bonfire, add some sparklers to mark the occasion, or wrap up warm and dine under the stars for a truly romantic picnic experience. Spring is here! Or is it? If you’re living in the U.K. spring should officially have sprung… But it seems the weather is as changeable as ever. A hint of sunshine and warmth is followed by steady rain, and even snow! However, the vagaries of British weather, shouldn’t stop you enjoying your Fairbourne Marlborough Sauvignon Blanc, which is always consistently good! We believe that your favourite varietal transcends all seasons, and tastes as good sipped by the fireside, as it does slurped in the sunshine! With that in mind, here are a few suggestions for spring suppers and light lunches that will pair perfectly with your favourite Sauvignon Blanc, no matter what the weather gods throw at you. For rainy days when only comfort food will do – A warming bowl of soup makes the perfect lunchtime treat. Turn it into an evening meal with some crusty bread and an antipasto platter. Classic seafood chowder is a great choice, but if you’re looking for more soupy inspiration, check out this blog post from the archives, for two recipes that both pair perfectly with Fairbourne Marlborough Sauvignon Blanc. For spring suppers when the sun comes out to play – As new season produce hits the shelves look out for tender, sweet British asparagus. This Asparagus and Cheese Tart recipe, served with a simple salad and a bottle of Fairbourne Sauvignon Blanc, shouts springtime! And if things really start heating up, roll out the barbecue, but think beyond the humble sausage and burger. Choose chicken, fish or seafood to pair with Fairbourne premium Marlborough Sauvignon Blanc. For days when it’s complicated – If you’re planning an event ahead of time and have no idea what the weather will be like then cover your bases by choosing a simple pasta dish. Comforting enough if there’s a chill in the air, but equally good eaten al fresco! For something different try Spaghetti with Anchovy Carbonara. Find a recipe HERE. Autumn has most definitely arrived in the UK. But that doesn’t mean you have to give up your beloved Marlborough Sauvignon Blanc for winter reds… Indeed not, at Fairbourne, we believe that your favourite varietal transcends all seasons, and tastes just as perfect while sipped by the fireside, as it does quaffed by the poolside! A super soup – A warming bowl of soup makes the perfect lunchtime treat. But a seafood chowder is wholesome enough for a main meal supper time too! A great chowder doesn’t need to be complex, simply pick up some fish pie mix from the seafood counter at your favourite supermarket and a packet of cooked, mixed seafood from the freezer department, and everything else you need is probably in the fridge or the store cupboard. We love this recipe from the BBC Good Food website. It’s simple and fast to prepare. A smashing salad – Just because the cooler climes are here you don’t have to give up on your salad, simply warm things up a little bit. This Trio of Warm Seafood Salad, uses mussels, halibut and scallops; and would pair beautifully with Fairbourne Marlborough Sauvignon Blanc. A Sunday Roast – It’s no secret that seafood is a natural accompaniment for Fairbourne Sauvignon Blanc, but that doesn’t mean it needs to be reserved exclusively for the fish course. 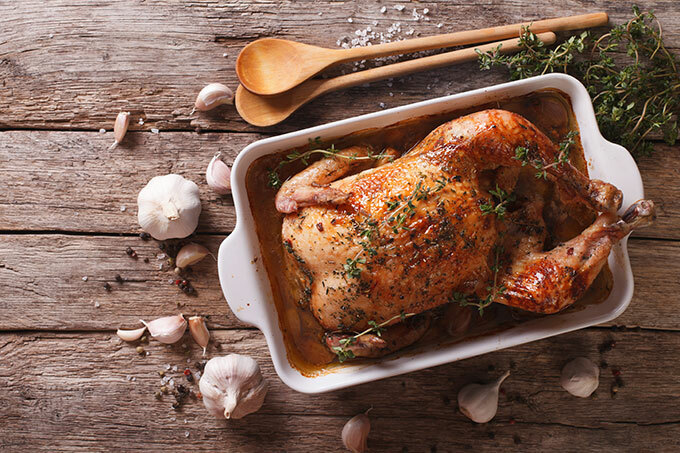 Its versatility and easy drinking nature also ensures it is very much at home with white meats, and what could make a warmer welcome for Autumn than a juicy roast chicken dinner with all the trimmings? Delight your Sunday lunch guests with a bottle of Fairbourne Marlborough Sauvignon Blanc for social sipping. Head to your local Majestic Wines store in the UK to find yours. 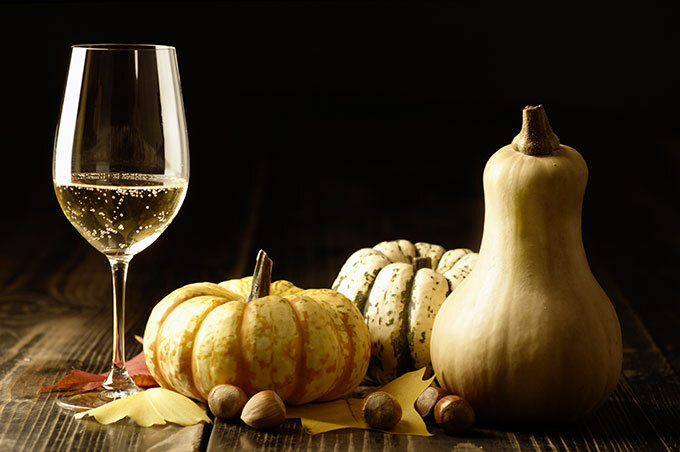 How to simplify your supper party… Pour Fairbourne Marlborough Sauvignon Blanc! With September comes the first whiff of autumn in the U.K. All too soon barbecue season is on the way out, and it’s time to get social with a kitchen supper party. 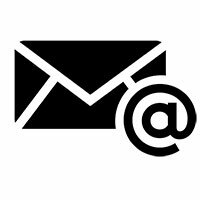 If you’re anything like us the best at home dos, are those that are perfectly simple. The less time spent preparing, the better, it leaves more time for good food, great wine, and gratifying conversation. One thing you can do to simplify your evening is choose just one delicious wine to serve throughout the evening. A particular delight of Sauvignon Blanc as a varietal is its versatility, and Fairbourne Marlborough Sauvignon Blanc is no exception, it can honour plain, simple seafood, fresh oysters, and steamed mussels, as well as salmon. But it also pairs with white meats like chicken and pork, even if these are served with herb sauces or rubs the Sauvignon Blanc holds it own. The wine’s vibrant flavors also complement spicy and ethnic cuisines. With that in mind, we thought we’d share some recipes that pair perfectly with Fairbourne Sauvignon Blanc, taking you from canapes to the cheese board! Smoked Salmon Blinis – This recipe is our go-to crowd greeter. Simple is the only way to describe these tasty morsels, you can whip a platter up in just a few minutes, and the recipe requires just four ingredients. Find the recipe HERE. Soup is such a great appetiser; it can be prepared ahead of time and reheated just before your guests sit down so you can enjoy the mingling and appear like a domestic god/goddess! This blog post has two soup recipes, both pair perfectly with Fairbourne Marlborough Sauvignon Blanc. A delicious fish pie is the perfect simple supper recipe. 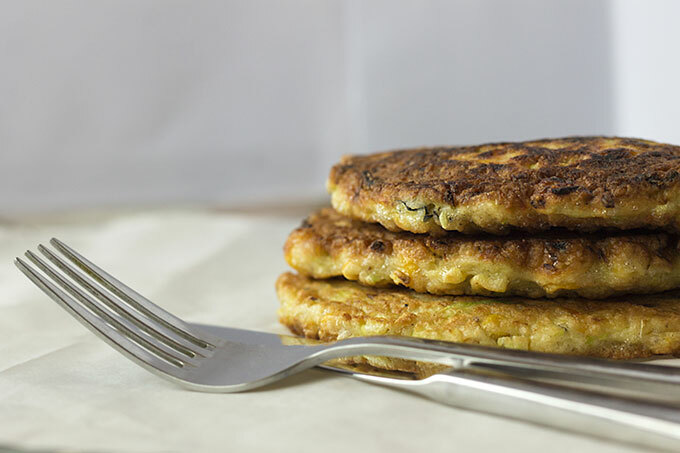 A real crowd pleaser, serve with a big bowl of buttery peas and pan fried courgettes. You can use a mix of whatever fish you’ve caught, bought or stored in the freezer. Add some seafood, like scallops or prawns for a luxury version. If you’d rather follow a recipe a good place to start is with Annabel Langbein’s Lemon Fish Pie, find the recipe HERE. Extra Tip: If you don’t have time to make or roll pastry, keep some ready rolled sheets of Filo Pastry in your fridge. Scrunch these up, place on top of your pie mix and drizzle with olive oil. If you can’t be bothered to give your arms a workout mashing spuds, finely sliced baby potatoes will also serve as a topping! Ditch dessert and set up a stellar cheese board instead. A delicious Chevre and Sauvignon Blanc is a match made in heaven. If you haven’t acquired a taste for goat cheese, and many people don’t like it, choose a good salty feta. The delicious dryness of both the goat cheese and the feta teams well with the fresh fruity flavours of Sauvignon Blanc. It’s official the U.K. summer has arrived, with a wee heatwave last month, it could be the start of something good, and it’s even been dry for Wimbledon so far! As things officially start to heat up, it’s time to roll out the Barbecue. 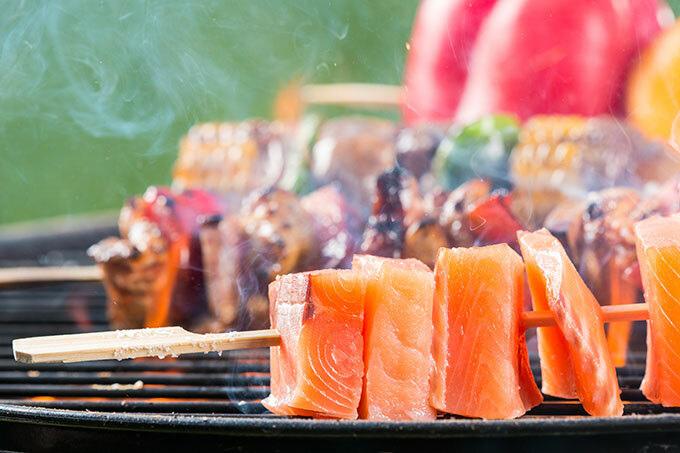 As Antipodeans we’re used to cooking, eating and entertaining outside, so we thought we’d share our top tips on how to host the perfect barbecue. Start with the guest list – Work out how many can you cater for your place? Remember that you can keep things informal at a barbecue, let it run all afternoon or all evening. 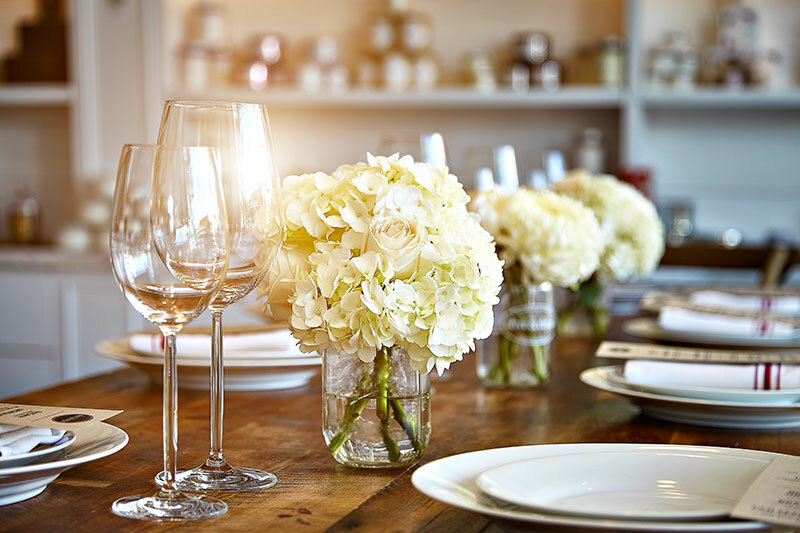 So you may find guests dip in and out of your soiree at different times, meaning you can invite a few more bodies than your pad could handle at a sit down formal supper. Plan a stonking menu – Think beyond the humble sausage and burger. Choose chicken, fish or seafood to pair with Fairbourne premium Marlborough Sauvignon Blanc. This website features some awesome recipes… Including these divine Monkfish Kebabs. Don’t forget to check your guests dietary requirements and include some vegetarian options. Remember that whilst the grill is the star of the show it also needs some supporting acts, so don’t skip the side dishes. Be prepared – The great thing about barbecue food is that much of it can be prepared in advance. Your meats will love marinades and your salads will rest superbly as long as you keep them cool. So do as much as you can the night before. If you learned to be prepared in the Scouts, you may also have learned that lighting a fire (or a grill) is not always the easiest thing to do, especially if a breeze is blowing… So have plenty of charcoal and fire lighters on hand. Check the weather – Yes it’s been a pretty decent start to summer, but remember the U.K. can be unpredictable. Think about borrowing or hiring a gazebo just in case things take a turn for the worse. Order your wine – Head to your local Majestic Wines store in the UK to find Fairbourne Sauvignon Blanc. Hello UK Spring! Hello Sauvignon Blanc. For our friends in the Northern Hemisphere, it’s that time of year again… The evenings are lighter and the days a little warmer, Spring has arrived! It’s time to come out of hibernation and tentatively enjoy long weekend lunches Al Fresco, and early evening suppers on the terrace. With the new season, comes a change in menu, casserole dishes get relegated to the rear of the cupboard and there’s a yearning to conjure up lighter dishes and succulent salads filled with spring goodness. 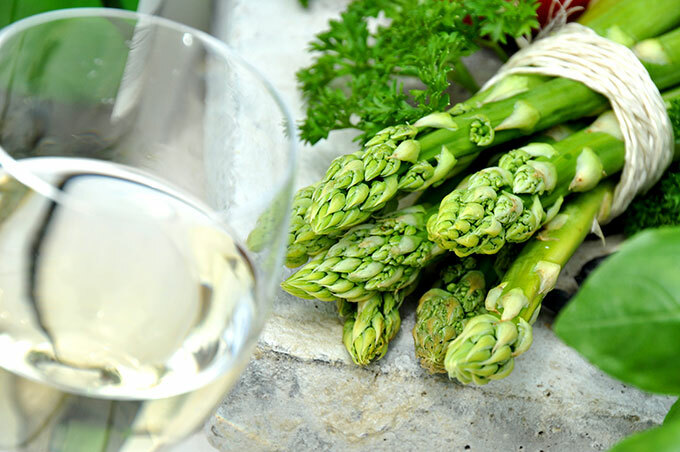 As new produce arrives at your local farmer’s market, we thought we’d share some of our favourite UK spring ingredients that pair beautifully with Sauvignon Blanc. Add some to your Caeser salad, stir fry it with ginger and cumin seeds for an Asian-inspired side dish, or simply griddle it in a pan and serve with good olive oil, a little lemon juice and shavings of Parmesan cheese. Add a glass of beautifully chilled Fairbourne Sauvignon Blanc to tantalise your taste buds. We wrote a whole post about Jersey Royal new potatoes last year, it includes a fabulous recipe… Jersey Royals with Hot Smoked Salmon, and Watercress Salad in a Horseradish Dressing. Find it HERE. We love them as a side dish, best served dripping in butter with mint from the garden; but if you want to spice things up a bit you could roast them with olive oil and cumin seeds, and serve with a side sauce made from yoghurt blended with mint and chive. Don’t forget to pour your Fairbourne Sauvignon Blanc to delight your diners. This vitamin rich, muscle building leafy green is all too often saved for the dastardly post-workout smoothie… So why not bring it back to the kitchen this spring time? Double cream, Parmesan cheese and a pinch of nutmeg will turn your spinach side dish into something quite decadent. Whisk up a spinach and Feta frittata for a weekend lunch, or top a spinach salad with warm goats cheese, balsamic vinegar and walnuts… Delicious! Remember every good salad deserves a glass of Fairbourne Sauvignon Blanc to sip alongside! Now you have the recipe inspiration, don’t forget the wine! Head to your local Majestic Wines store in the UK to find Fairbourne Sauvignon Blanc.